One of the beauties about living in Atlanta is that there is always something to do. People who don’t live here in Atlanta actually come here for vacation. Crazy, right?! I bet you didn’t even realize that someone has a travel destination in mind and it is in YOUR backyard. If you’re wondering what you and the family are going to do for Spring Break, look no further. 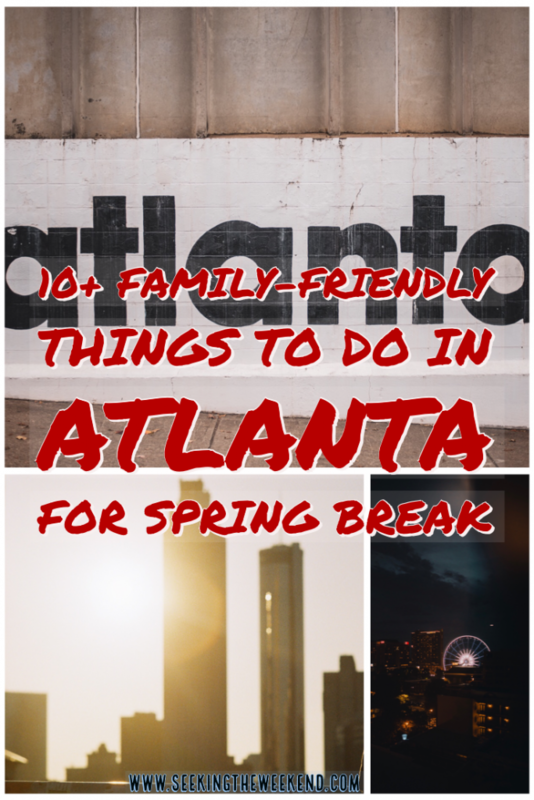 I complied a list of family friendly things to do in Atlanta for Spring Break. Stone Mountain Park is one of the most popular attractions here in Atlanta. 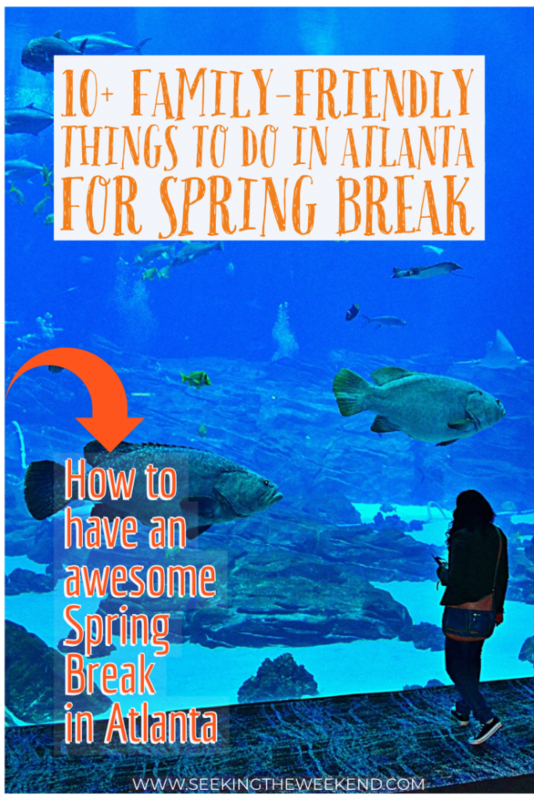 That’s why it is no surprise (and my #1 pick) for things to do in Atlanta for Spring Break. Stone Mountain Park offers an array of outdoor activities to help create an epic Spring Break. I think the main reason to go this Spring Break is to experience MEGABUGS! Adventure Encounters. 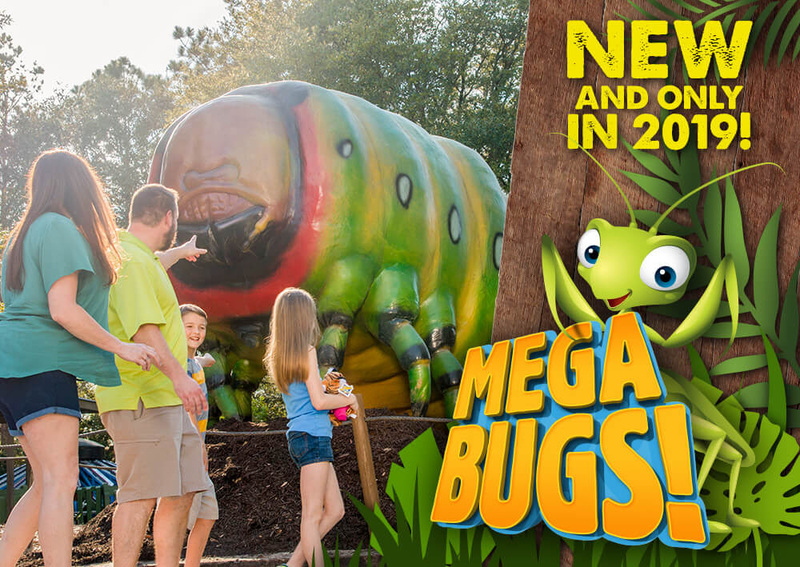 Guest get a taste of a bugs life as they fly, dig and crawl all the while interacting with enormous size bugs! That’s not it. Stone Mountain Park has numerous activities to keep you busy all day long. Being the birthplace of Coca-Cola, one of the places you have to visit when you’re here in Atlanta is World of Coca-Cola. View the thousands of memorabilia, learn how Coca-Cola started in a pharmacy in the 19th century to the mega company that it is today. 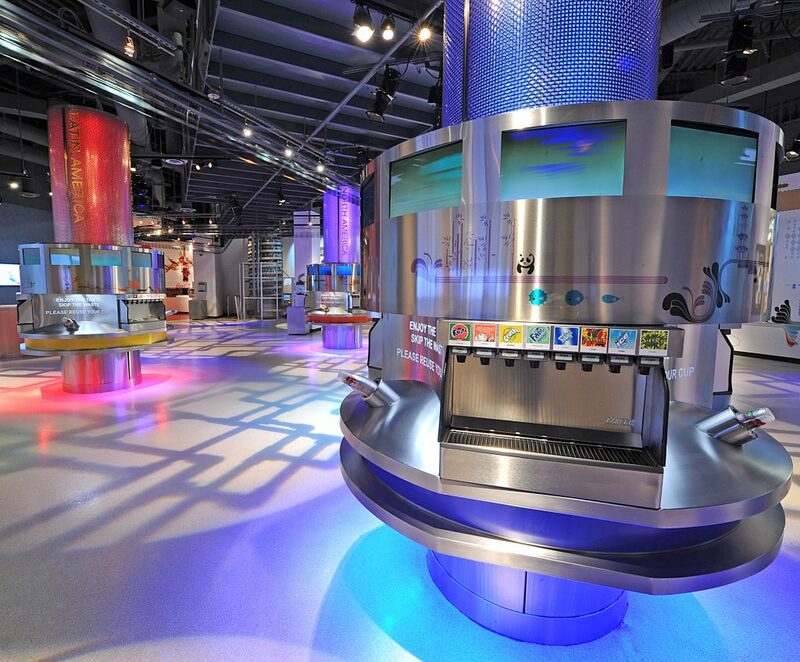 The most notable attraction within World of Coca-Cola that is perfect addition for things to do in Atlanta for Spring Break is Taste It! Here, you can try various flavors of pop from all over the World. World of Coca-Cola typically offers great deals to visit. You can also grab a CityPass to explore World of Coca-Cola and then many other attractions it offers. 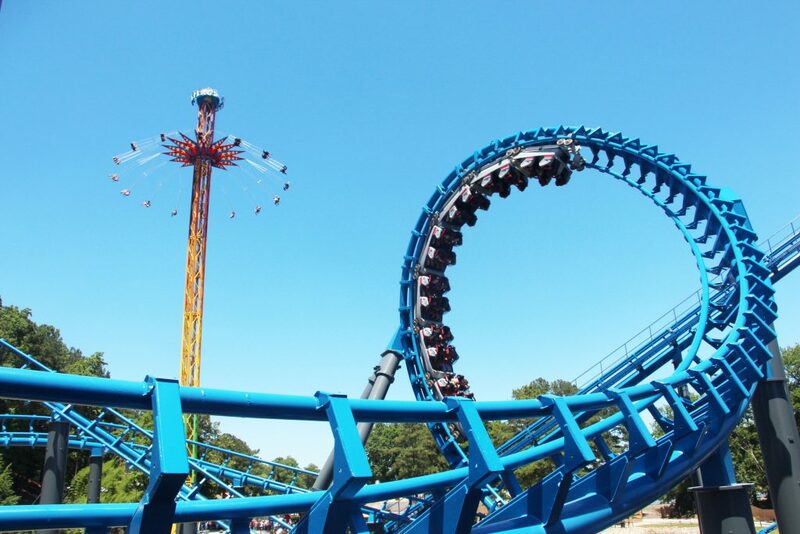 If you’re a thrill seeker at heart, then Six Flags over Georgia is definitely a perfect options to add to your things to do in Atlanta for Spring Break. Soar high on rides like BATMAN: The Ride, Blue Hawk or Acrophobia. Or have a blast in GOTHAM CITY: Crime Wave, an area that parents enjoy just as much as the kids. I recommend getting a yearly pass to enjoy Six Flags over Georgia. Typically, you will go at least during each season (okay, I do). Since you’ve soared to high heights on some of Six Flags thrill seeking coasters, now let’s dive deep into the ocean! Georgia Aquarium is the biggest aquarium in the US and it calls Atlanta home! You can view a tropical coral reef, walk through a fun and educational experience with Aquanaut Adventures and take in the views beneath the water with their floor to ceiling tank. 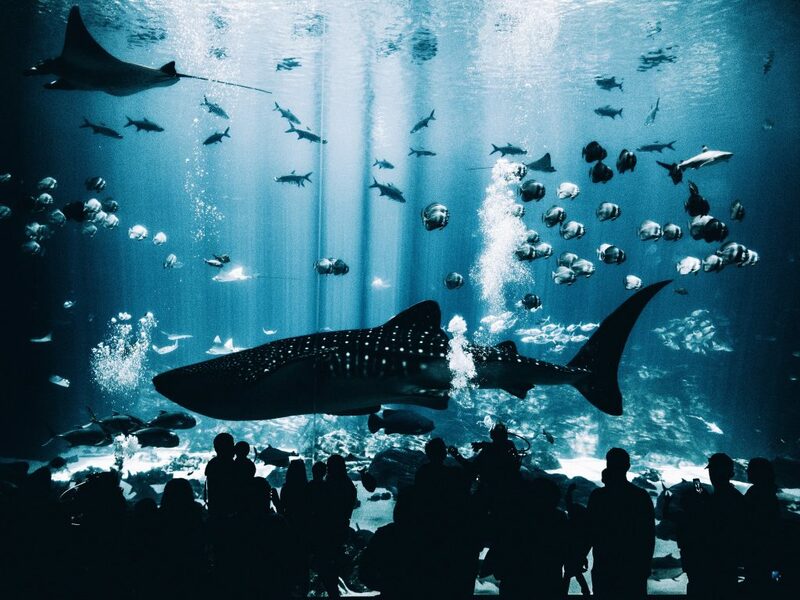 You’re sure to have a great time under the sea at Georgia Aquarium. Explore a 75-acre forest, see a life-size replicas of dinosaurs, view cultural artifacts and live animals at Fernbank Museum. 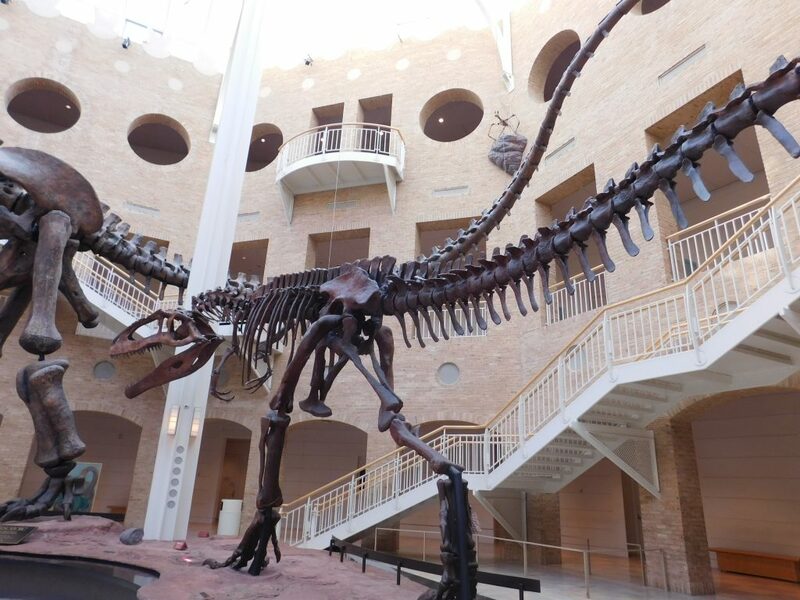 The Fernbank Museum offers an array of activities both inside and out. Check out their site to see what moving exhibit is currently calling Fernbank home. While you’re there, catch a movie in their IMAX theatre (for an additional charge). NCCHR is located steps away from Georgia Aquarium and World of Coca-Cola. They can all definitely be done in one day together. 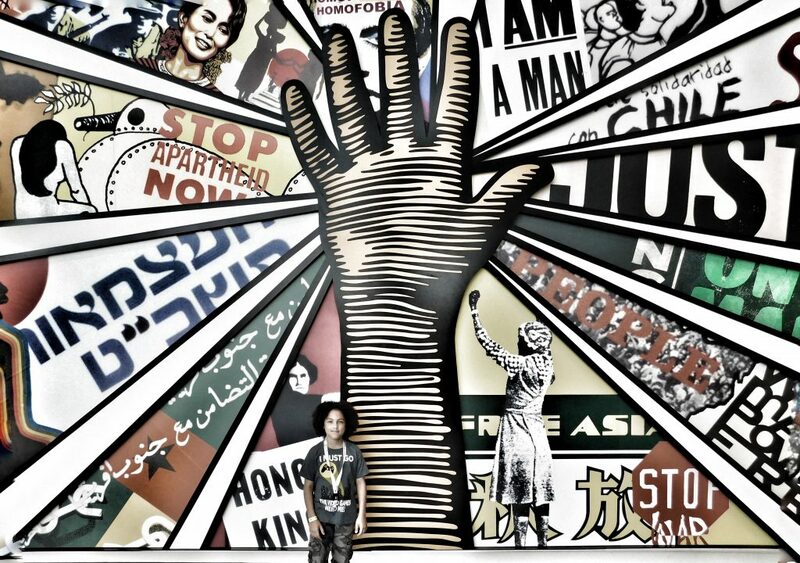 Another impacting place to visit in Atlanta is The King Center. The King Center is located in downtown Atlanta and is a part of National Parks. Admission and parking at The King Center is FREE, but donations are always welcome. During your visit, you can view the memorial where Dr. and Mrs. Kings tombs lay. Also, you can take a tour of the birth home of Dr. King as well as sit in the pews of the church he once called home, Ebenezer Baptist Church. 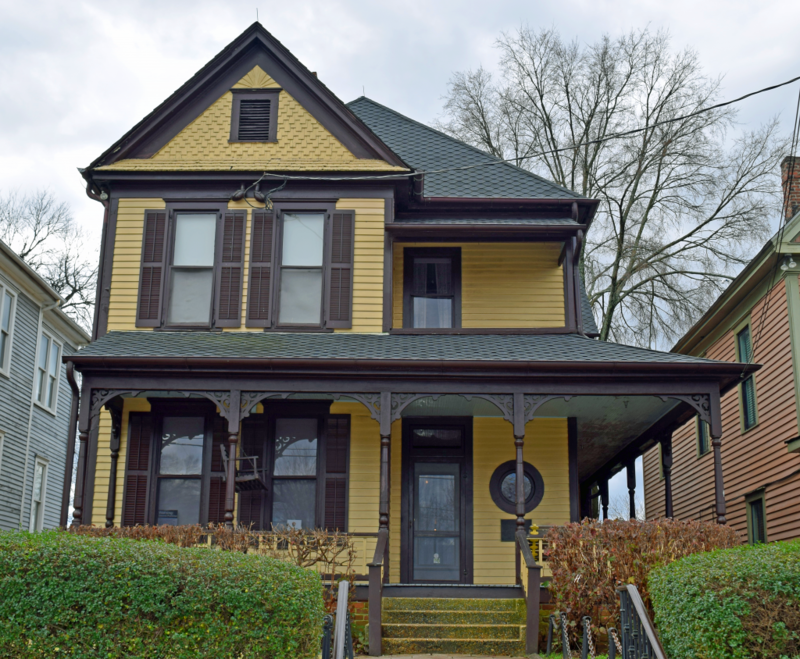 Plan to visit The King Center early if you want the tour of his birth home. The tours begin at 10 AM-4 PM, daily. The tour runs approximately every 30 minutes and tend to fill up quickly. Also, they are first-come first-serve. 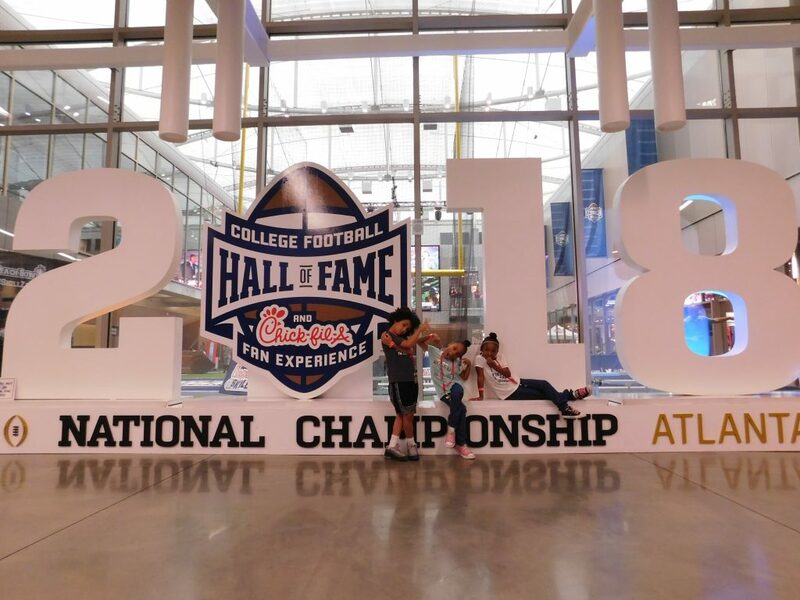 If you’re partial to college football, then there is no way you can end Spring Break here in Atlanta without a visit to College Football Hall of Fame. It is a great interactive experience. It’s fun for the whole family and inspiring. Even if you’re not a fan of football, this is still such a fun attraction to visit. College Football Hall of Fame is currently offering FREE admission on the first Sunday of the month thanks to Southwest Airlines! Luckily this aligns with Spring Break here in Atlanta. What a way to end a perfect vacation (and for my Atlantans, a perfect staycation). 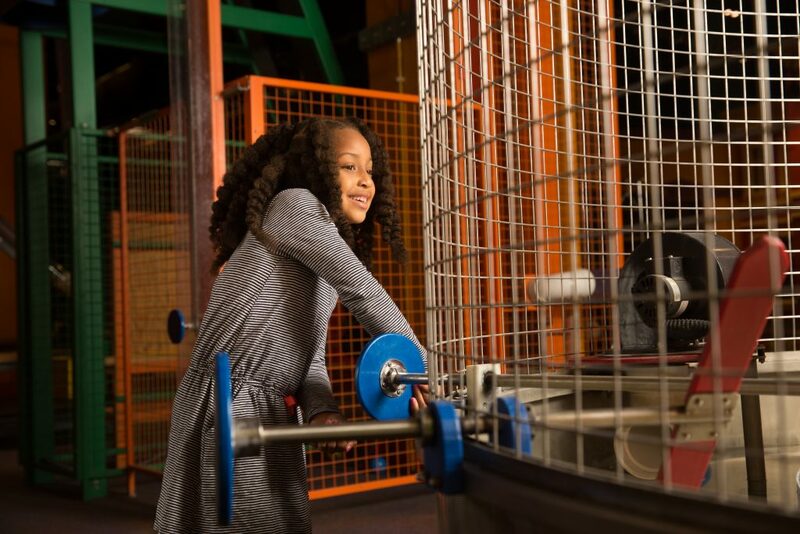 If you want the kids to explore and learn, then you’ll need to add Children’s Museum of Atlanta to your Spring Break list of things to do here in Atlanta. This interactive museum allows your child to make-believe in a World that emulates the one we live in, but for their size. Children’s Museum of Atlanta houses amazing exhibits, along with traveling exhibits. Leaping Into Learning, Gateway To The World and Fundamentally Food are just a few of the exhibits that call the museum home. Better yet, Children’s Museum of Atlanta is across the street from World of Coca-Cola, National Center of Civil & Human Rights and Georgia Aquarium. Across the way through Centennial Park sits College Football Hall of Fame. You could totally have a few days in this area alone. Since you’re there, jump on the SkyView to get a view of the city in the nestled sky! 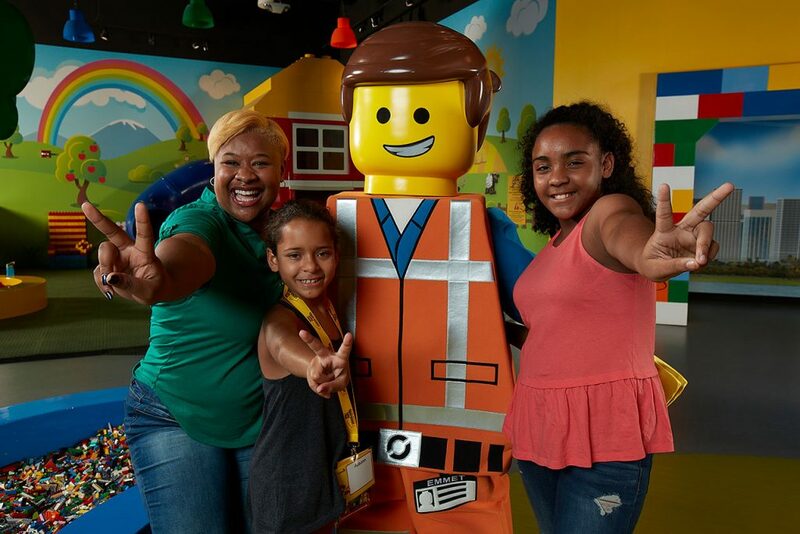 Legoland Discovery Center Atlanta is the ultimate build spot! You can get creative in the build zone, ride two of the Lego themed rides, watch a 4-D movie and let loose in the Pirate Adventure (a play area). And if you want to view Atlanta in one swoop, see a display of Atlanta in the form of Legos! If you book online, you can save an extra $7. 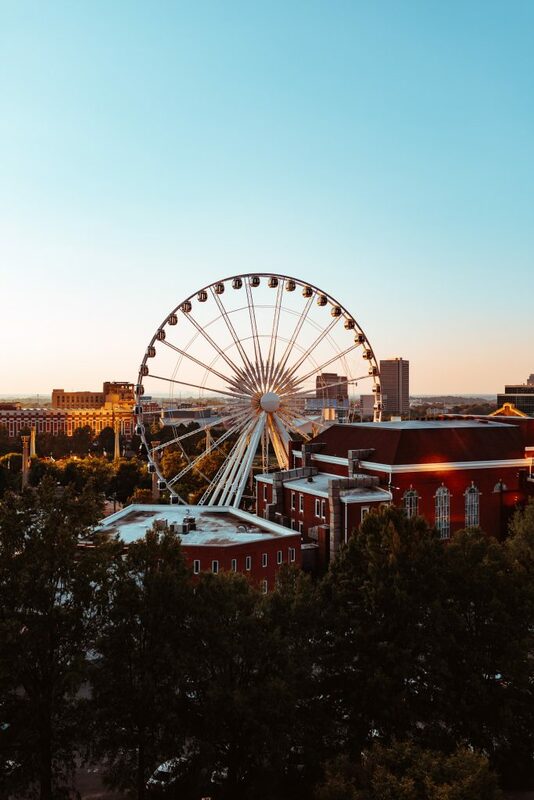 Legoland Discovery Center Atlanta is located inside of Phipps Plaza, so if you’re itching to have a few hours a shopping, you’ll be in the right place. An attraction that’ll allow you to kill 2 birds with 1 stone is Medieval Times. Here you can enjoy a dinner fit for a king while you watch knights battle by sword and steed. Watch the eloquence of the horses as the leap and dance in front of you. You can also observe the beauty of the falcon as he soars through the room. You’ll be given a 4-course dinner while you cheer on your knight. 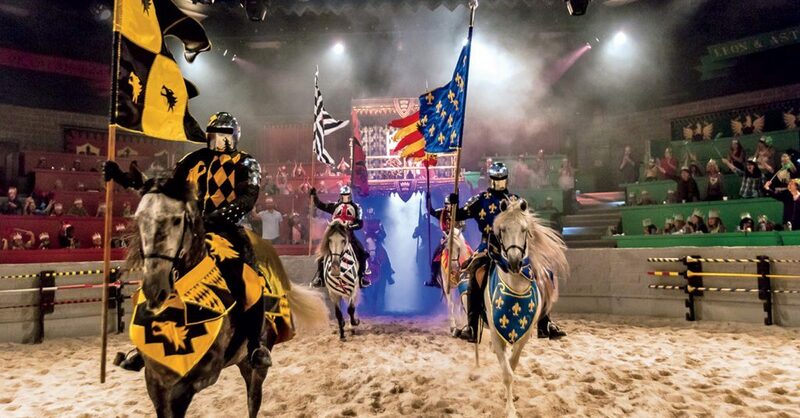 Medieval Times is a fun way to experience a live dinner show. During Spring Break, you can save up to $26 per tickets with code: SB19. Adult tickets cost $76 and children’s tickets cost $65. 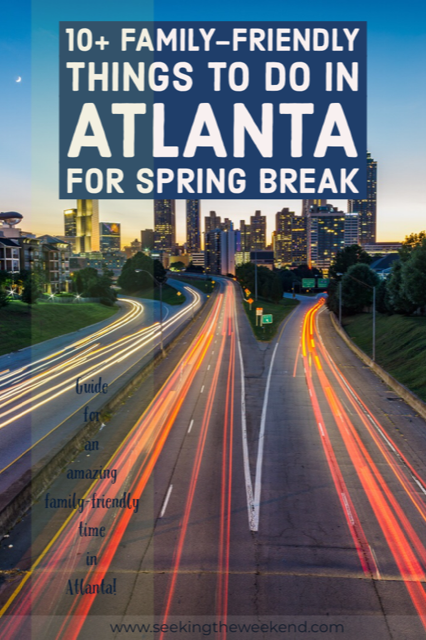 I guess it doesn’t come to no surprise that this isn’t the only fun you can have in Atlanta during Spring Break. You may also want to consider these other fun activities. You had me at the Coca Cola museum.